The Photoscope is celebrating the Wet Plate Collodion Photography by dedicating a week to workshops and portraits sessions in this magnificent historical process. During this eventful week you will get the unique opportunity to meet and learn from one of the masters of wet plate collodion; DANIEL SAMANNS, Berlin. The Photoscope took off in such a fantastic speed. The last three months has fare gone beyond my expectations. Thank you all for the best Grand Opening with so many wonderful and interested visitors, I was overwhelmed by the amount of interest for the old historical photo techniques and for workshops in the so called alternative photographic techniques. The last three months has been very busy with workshops in Cyanotype, Emulsion transfer from Polariods, and Making of Glass Plate Negatives, as well as work in the darkroom learning the analogue way from film to papir. A lot of very creative people have been working during the workshops and what a thrill it has been to meet them all and to see how they experimented and stretched the use of the different techniques. The photographic works became personal and unique from the very beginning. Thank you fore all your comments and suggests to future workshops and activities in the Photoscope. I am working hard to meet your exciting ideas. Many more workshops will be coming up in the next months and also in other historical photographic techniques. And dear Daniel Samanns, thank you for letting me show your fantastic Ambrotypes in the gallery. The portraits are so strong and intense and truly show what the wet plate collodion technique can add to the work of a great art photographer. The portraits become timeless icons in a very physical way, that touches you and makes you wonder. 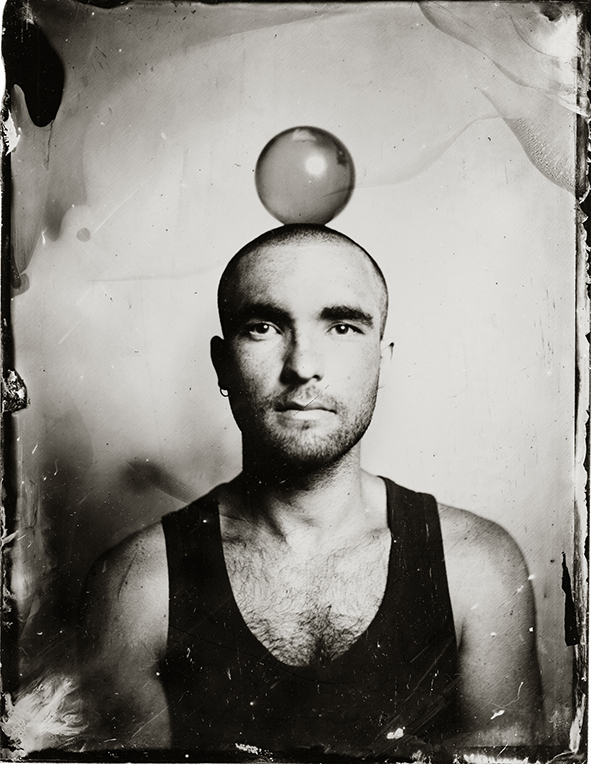 Daniel Samanns will be working in the Photoscope this spring, as we are planing a Week of Wet Collodion. In this week there will be workshops in the making of wet plate collodion photographs, talks and event. We are very excited and can't wait to annonce it all during the next weeks. The gallery and workshop is slowly coming alive in Rigensgade. Fore some months I have been working on the concept of the place. The scope. The name Photoscope pretty much says it all. Here is all about photography up fore investigation and wonder. The photograph is under the artistic and scientific microscope, the photoscope. The question is What does a photograph look like? Is it two or three dimensional? What is it made of? The standard ways of shooting and printing photographs are on trial here, as all possible traditional photographic techniques are aloud to be taken apart, put together and mixes in the name of photographic art. The workshops I want to hold are introduction to different photographic processes, alternative photographic processes. I hope for creative participants who dare to take the processes in new directions, in their own personal creative direction. This way I hope to see the photograph in new forms. The gallery will show photographs of alternative processes, the perfect results and the imperfect ones. I hope to find photographers and artists who want to show artwork, that stretches our perception of what a photograph is. Big ambitions for a small workshop and gallery, but good things come from dreams. 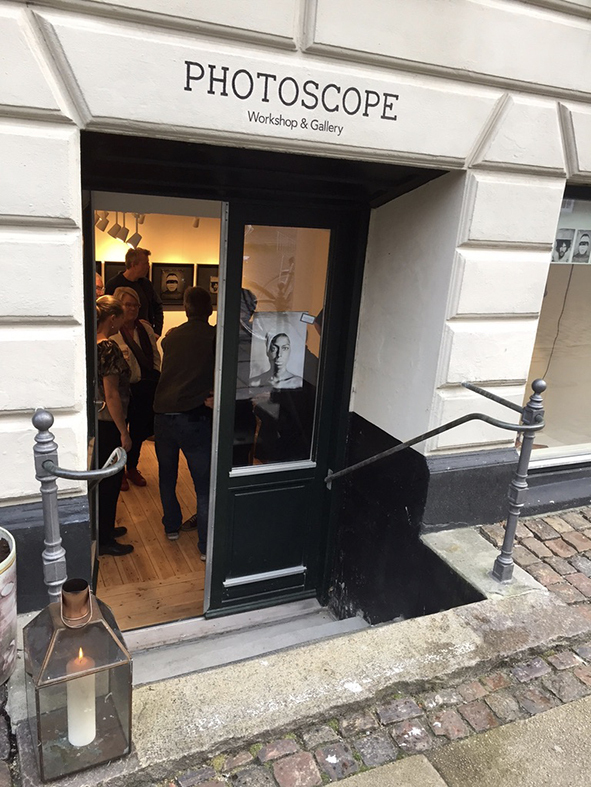 Welcome in the Photoscope on the grand opening 13. October 2017 at 4pm.